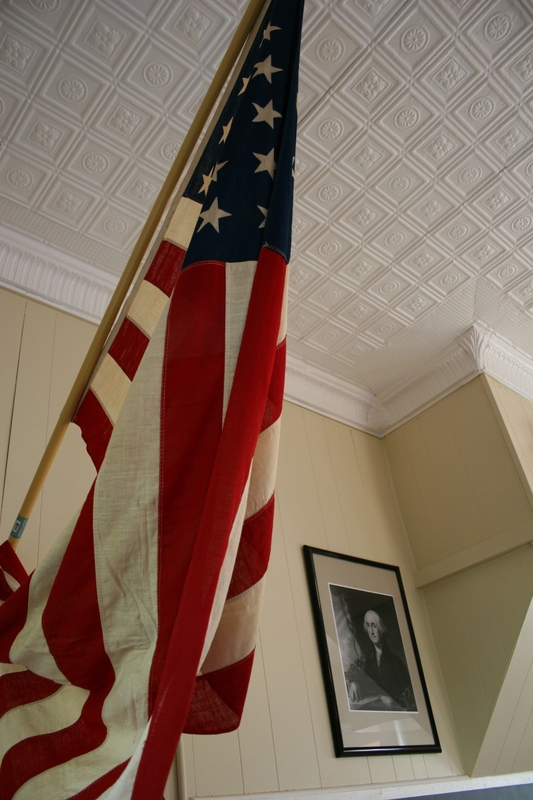 A flag and portrait of George Washington at the former District 20 Millersburg School, now a museum. As a child, my school days began with that pledge. My classmates and I arose from our desks at Vesta Elementary School, turned toward the American flag in the corner, placed our hands across our hearts, fixed our eyes upon the stars and stripes, and recited the pledge in unison. I doubt we ever thought too much about the rote words we spoke. They were simply part of our routine, something we did, although I do recall feeling a sense of pride in speaking those words daily. So much has changed in the decades since then. The Pledge of Allegiance, in most cases, has been banned from public schools in the name of political correctness. We are no longer one nation under God. While the U.S. remains one country, we as individuals are certainly divided in our views of anything and everything. That’s as it should be in a democracy. Liberty and justice have managed to prevail. As we celebrate our nation’s Independence Day, it would be wise for all Americans to reflect on the Pledge and the words of other documents and songs that focus on the flag and freedom. 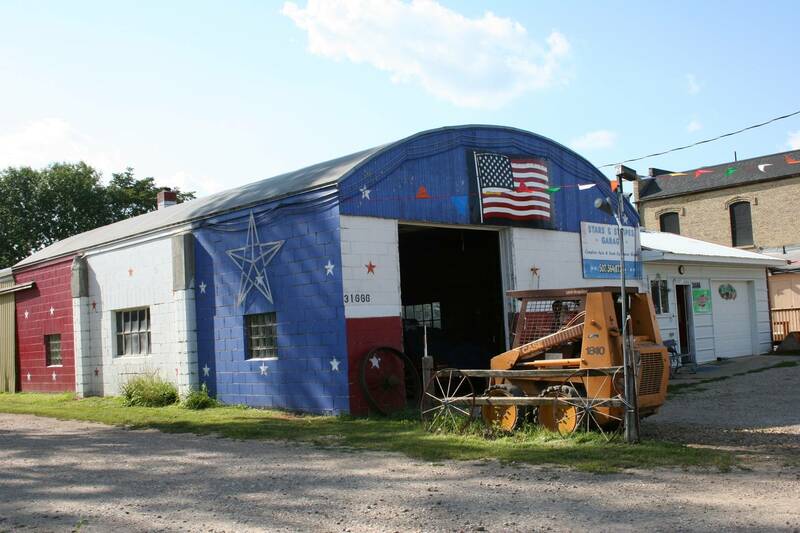 Vietnam veteran Joel Kukacka's patriotic garage in the hamlet of Heidelberg, Minnesota. 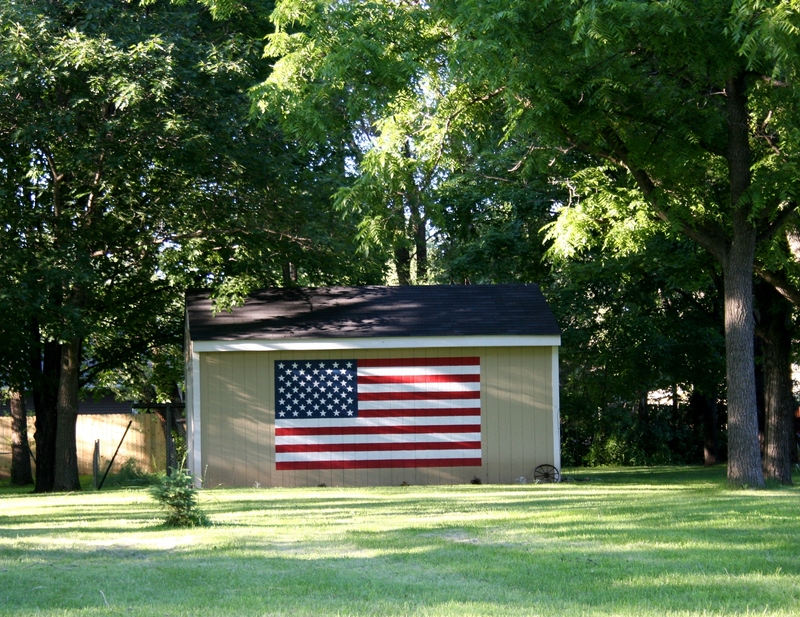 An American flag painted on a shed in Dundas in southeastern Minnesota. 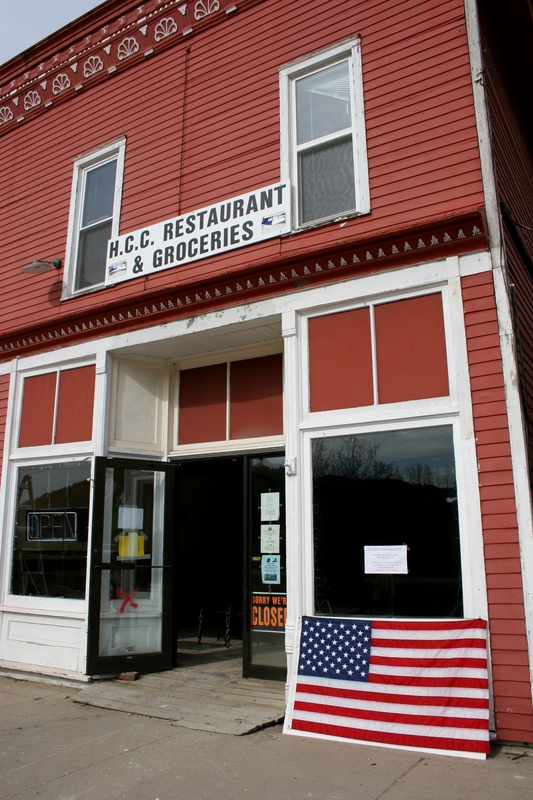 Weeks after a devastating Sept. 2010 flash flood in Hammond, in southeastern Minnesota, an American flag marked a ravaged business. 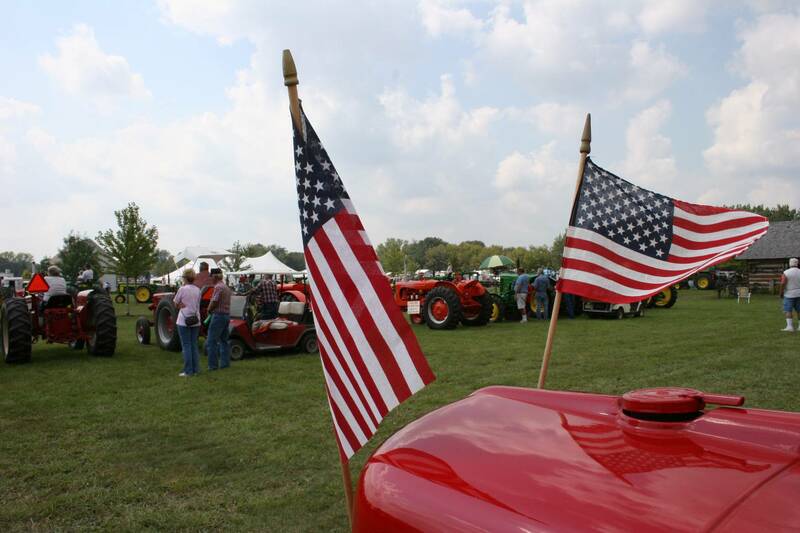 Flags decorate a vintage tractor at the Rice County Steam & Gas Engines Show near Dundas.